I mentioned that one of the actions that sprang up from Brayden, our catalyst child, is our effort to narrate our pre-adoption process (a term I use to describe the process of preparing before actually starting the legal action of adoption) here on this blog. I’ve been absorbing tons of material, typically blogs, about people who have been touched by adoption. These resources come from fellow advocates who are unable to adopt at this time, families who have adopted or are in the process of adopting, and a few articles by adoptees. Scattered in have been documentaries, research articles, TED talks, and good ol’ fashioned books, but it is the stories that people share that have really helped us. While this wealth of information is fantastic, one area that is not covered as much is this hazy stage where you are straddling two spheres with one foot in the “yeah, maybe someday we’ll adopt” and the other foot in the adoption process of “hold onto your hats, we are in for a bumpy ride!” One of the reasons I think this dearth of narration exists is because adoption seems to happen slowly and then all at once. People for the most part don’t seem to be blogging about adoption until they are already committed to the idea of adopting and in the adoption process with everything rattling along at slow motion warp speed. Accounts like this one by WideAwake abound. The beginning of her story sounds much like our Brayden story complete with comfy couch, steaming hot cozy beverage, peaceful life puttering along predictably until a single story took her cozy, peaceful, comfy life and flipped it in its head. There wasn’t much time for the fuzzy “maybe someday” phase, they went from oblivious to painfully aware in a heartbeat. But what if you are like me and after reading stories like WideAwake you are left in awe, but also totally intimidated? Adoption seems like this overwhelming challenge and you just aren’t like those people, the people whom you admire but couldn’t imagine being. People who jump up and adopt a child with special needs, then go on to adopt 5, 6, 7 or more children with special needs. There are families who have done this, thanks be to God! And maybe you and I will be those people, but we are jumping into their stories when they are already well into their journey. Four formative years passed between WideAwake’s ah ha moment and the beginning of the blog, what if we had been following along since day one? My family is in the earliest of days, we have more questions than answers and the answers that we do get simply lead to even more questions, but the reason I am recording it all here instead of only in my personal journal is because perhaps you are in the same place and would like to follow along with our story by starting in the prologue. Who am I kidding? We aren’t even at a prologue yet, this is more like the scribbled notes on the back of grocery lists which disintegrate in the wash when you forget to check the back pocket of your jeans before starting the laundry. 1) Without a doubt the biggest lesson I’ve learned so far is that children waiting for families and families waiting for children need huge support. 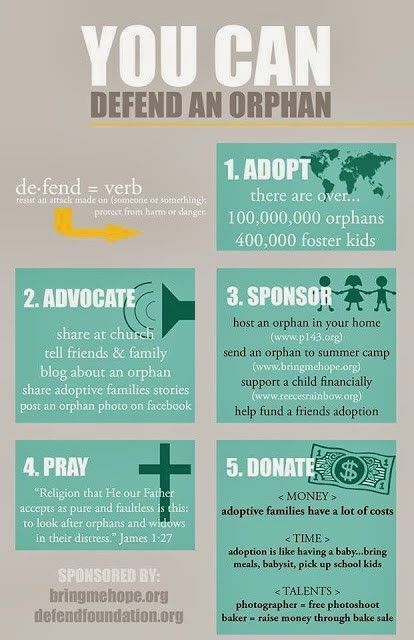 You can be involved with the adoption process in many ways even if you never adopt a child into your own family. When I first started asking questions about adoption on the Reece’s Rainbow facebook group, many of the people who took the time to contact me and answer my painfully clueless questions are advocates for children even if they have been unable to adopt. Their dedication to sharing children’s stories and educating people like me is priceless. 3) And then this article by Shaaren Pine made me think about the effects adoption can have on future generations. Even if someone is adopted into an incredible family, lives a full life, and starts a family of their own, the loss that creates the need for adoption in the first place is still there. I NEVER read the comments after online articles because they are inevitably a jumble of unkindess, but I was curious what other adoptees would say so I took a look. It sounds like what she said resonated with many. Reading the responses also provided an opportunity to see many different points of view people hold about adoption. As expected it is filled with unkindness, like all online comment areas, but what people point out over and over again is that, regardless of how wonderful a family is and how much a person loves their adopted parents, there can still be that feeling of loss which can have a lifelong toll.